Lower Leg Muscle Cramps generally result from overexertion and dehydration. When you don’t have enough fluid in your system, it leads to an electrolyte imbalance that causes your muscles to cramp up. Lower Leg Muscle Cramps may also occur after inactivity, such as sitting too long in one place without moving a muscle. Sometimes you can even get a cramp when you’re just lying in bed, though researchers cannot define a definite cause. Cramp is a term often used to refer to a painful, involuntary contraction of a single muscle or a muscle group. 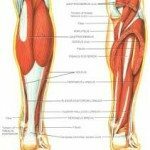 Lower Leg Muscle Cramps frequently occur in the legs of elderly patients and can be extremely painful. Severe Lower Leg Muscle Cramps my be followed by residual tenderness and evidence of muscle fiber necrosis, including elevation of serum creatinine kinase. 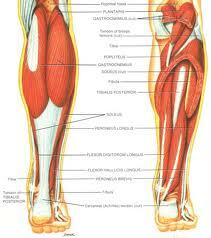 Lower Leg Muscle Cramps in the calf muscles are so common as to be considered normal. Cramps, painful involuntary muscle contractions, occur commonly in the gastrocnemius and may be prevented by proper warm up and stretching. They often can be interrupted by forceful stretching of the involved muscle or by activation of the antagonistic muscle. Encourage active range of motion. Immobilization is contraindicated in minor injuries however crutches should be used if ambulation is painful. A significant gastrocnemius tear is sometimes treated with long leg cast immobilization with the knee flexed at 60 degrees and the ankle in neutral for 3 weeks. This is followed by another 3 weeks with a boot cast and the ankle plantarflexed 10 degrees. Compete tears may require surgical repair. Ice for 10 to 15 mins with hourly reapplication. Elevate leg frequently with compressive wraps. Any limitations that affect strength, range of movement, and efficiency of feet, legs, lower back and pelvic girdle. Slightly limited mobility of joints, muscular weakness, or other musculo-skeletal defects that may prevent moderate marching, climbing, timed walking, or prolonged effect. Defects or impairments that require significant restriction of use.